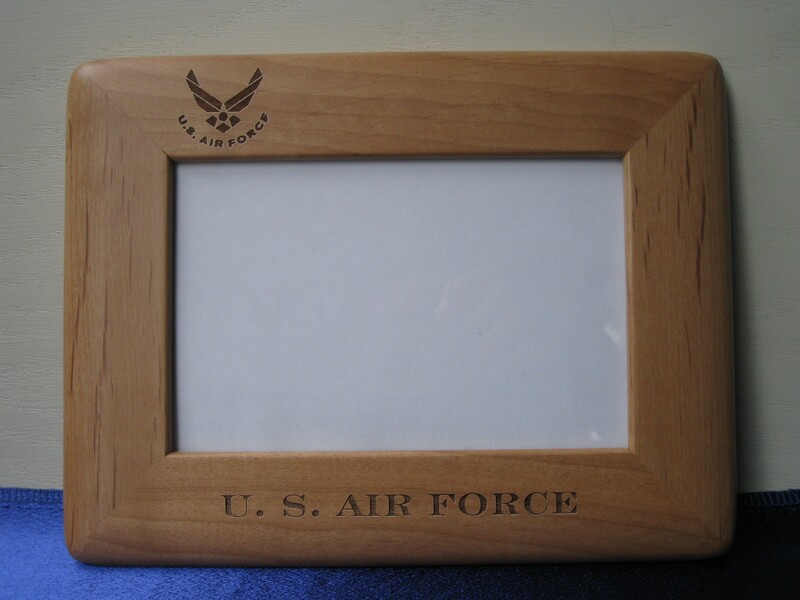 Laser engraved solid wood picture frame with glass front. Frames are engraved with Branch of Service information. This item can be customized with name, date or other details of your choice. Available sizes 4 x 6, 5 x 7 or 8 x 10.